How to Lose Weight during the Holidays. We Will Offer Some Weight Loss Tips During the Holidays. The holidays are around the corner and everyone is wondering how to avoid holiday weight gain, or even better, how to lose weight during the holidays. It’s very common to gain weight during the holidays between the cold weather, various holiday parties, all the delicious baked goods and the stress of buying the perfect gifts. Now, gaining a pound or two during the holidays isn’t going to hurt you in the long run, if you get back on track as soon as they are over. If you are unable to get back on track after the holidays, the weight gained will only add to the yearly weight gain for some people. It’s hard to be conscientious during the holidays and it’s even worse when it comes to how to lose weight during the holidays. Here we will offer some weight loss tips during the holidays as well as what you can avoid to not gain extra pounds. Discover more weight loss tips here! One of the best weight loss tips for the holidays is to stay active with your family that is in town. When you follow the common holiday’s traditions such as sitting around watching movies and sports while eating, it’s normal that weight gain will occur. Participating in physical activity during the holidays with your family can be a beneficial way how to lose weight during the holidays. Before or after eating, put on your winter gear and head out for a stroll around the neighborhood allowing you extra one on one time with your family members, and help get your mind off of all the holiday treats. Other ways to stay active during the holidays can include competitions between friends or in your workplace. Adding a monetary incentive for the winners helps add reason to stick to your goals. Watching your portion sizes is an extremely important part of how to avoid holiday weight gain. It’s easy to want to overindulge with all the delicious food you have around you. Practice mindful eating with your controlled portion size, make sure you are aware of what is in what you are eating and follow the suggested serving sizes. You could even try using smaller plates and not overfilling them to ensure that you are avoiding excess meals. When you practice mindful eating this means you are eating without excess distractions. It’s very easy to over eat when you are distracted because you are unable to notice the signals your body gives you when you are full. Try eating slowly and chew well in order to consume less. If your family is focused on all the sweets, you can bring something that falls into your own diet plan to keep you on track with your diet. When it comes to how to lose weight during the holidays, it’s difficult to eat the things that keep you on track. The best way to help yourself and others is to bring one of your favorite healthy tasty treat. You may surprise everyone and create a new tradition and no matter what you have your healthy option to eat instead of everything else. When it comes to weight loss tips, or maintaining weight during the holidays it helps if you’re not alone. Let a friend or family member in on your plan and use them as your support system. Maybe they will join you in your quest to eating better during the holidays, and if not they can at least help you stay on track through encouragement and distractions. 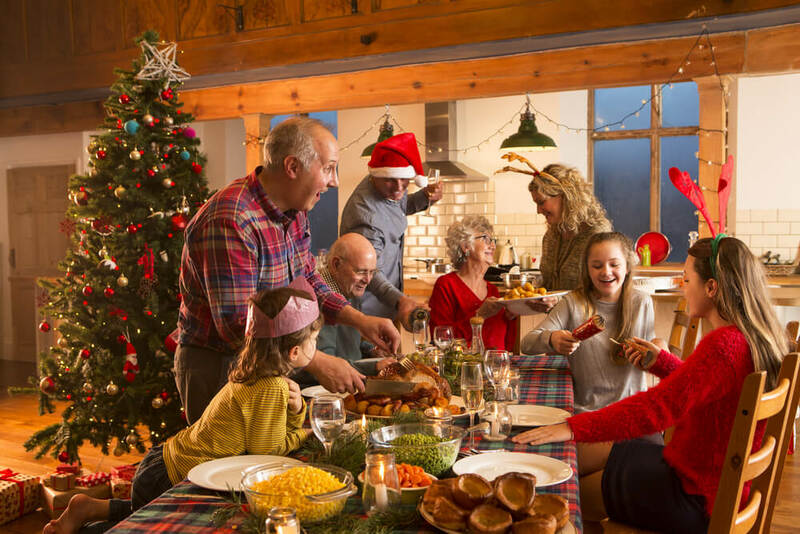 At the end of the day, the holidays are both good and bad for your overall health. Staying active and watching what you eat are the best tips you can go by. Don’t over indulge, drink plenty of water and eat slowly. You can still enjoy the holidays without over doing it and getting off track. Consult your health provider before starting any exercise program or diets. Stay tuned to www.BetterHealthKare.com for more tips on weight loss and ways to manage weight gain during the holidays.